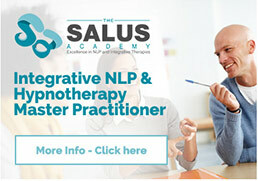 I feel empowered and confident in integrating NLP and Hypnotherapy as part of my coaching practice which in turn has a greater positive impact for my clients. I have been studying with Peggy on her Person Centred NLP and Hypnotherapy Practitioner Programme since January 2017 and plan to continue with her Masters course. Peggy has an immense knowledge and experience in NLP – this is evident both in the way she teaches, creating a truly immersed experience for her students, and in the vast number of case studies and resources she is able to share. Her style of teaching is very practical, in small groups, enabling continual practice and experience of each new technique throughout the teaching weekends. Practice is followed by discussion of questions, concerns and reactions immediately. This process instils real confidence in me and I am able to take away genuine learning and develop approaches and technique with my practice clients. As a result of the course I have experienced great personal benefits as well as professional, and I am very grateful to Peggy for everything she has taught me.